Blog reader and friend Richard SantaColoma from New York State has pointed out an interesting video to me. Titled “Famous UNCRACKED Codes That STILL Exist!”, this video introduces ten unsolved cryptograms. Although there are a couple of other videos with the same topic, this one is something special for at least two reasons. First, this video has been watched over a million times, which is considerably more than its competitors; and second, this video quotes me. I’m proud that over a million YouTube users have watched my appearance. I’m especially proud that I am quoted right after William and Elizebeth Friedman, two of the most successful codebreakers in history. Contrary to other unsolved cryptograms lists, this one contains only mysteries that are cryptographic in nature. This means that no unsolved writing systems (like Rongorongo or Linear A) are contained. 10. Chinese goldbars mystery: This one is #49 on my unsolved cryptograms list. 9. D’Agapeyeff cryptogram: This cryptogram has not made it into my top 50 list (there are more interesting ones, in my view), but I covered it in a blog post last year. 8. 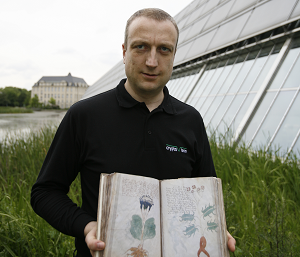 Beale cryptograms: One of the great hoaxes in crypto history (the Voynich Manuscript could be another one, who knows?) is #40 on my list. 7. Dorabella cryptogram: This message sent by composer Edward Elgar to his female friend is #26 on my list. 6. Tamam Shud cryptogram, also known as the Somerton Man mystery: I recently introduced this one as unsolved crypto mystery #5. 5. Zodiac Killer: The cryptograms of the Zodiac Killer are a must on every unsolved ciphers list. I will introduce them as one of the top four in the near future. 4. Kryptos: The inscription on the Kryptos sculpture is another crypto mystery I will introduce as one of the top four in the near future. 3. Ricky McCormick’s encrypted notes: This cryptogram, published only a few years ago, is already a classic. On my list, it’s #10. 2. Shugborough Hall inscription: This one has made it to #37 on my list. 1. 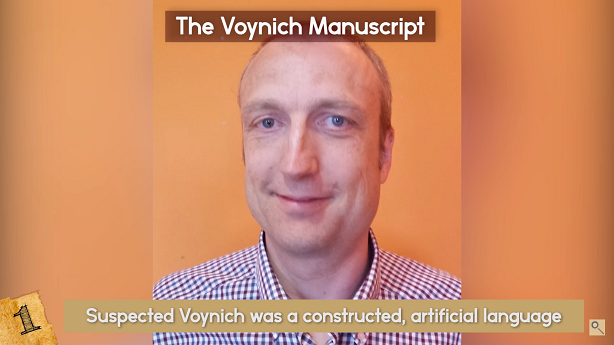 Voynich Manuscript: The one and only Voynich Manuscript is the last cryptogram introduced in this video. I will introduce it as one of the top four in the near future. 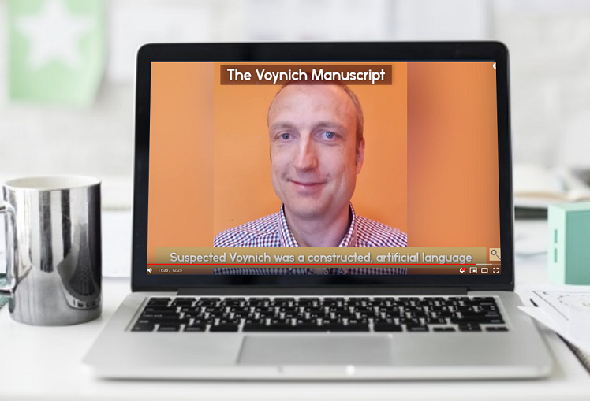 The video only quotes me on the Voynich Manuscript, though I could certainly have said something about all other cryptograms, as well. Anyway, this is a well-made video I can highly recommend to everybody interested in unsolved ciphers. Have fun watching! It is definitely one of the better videos of the type. The people behind it did their research, I think. Not a bad one to be in, for sure! I’m certainly not up to the pace of the talking speed, might be late today, or I’m getting old.. in any case it is thumbs up for Klaus! I wonder why a German passport, an East German Trabant car and a half decayed face are shown in the Tamam Shud part, just to name a few of strange pictures in the video. Whereas the text seems quite instructive to me, several images have been arbitrarily selected.